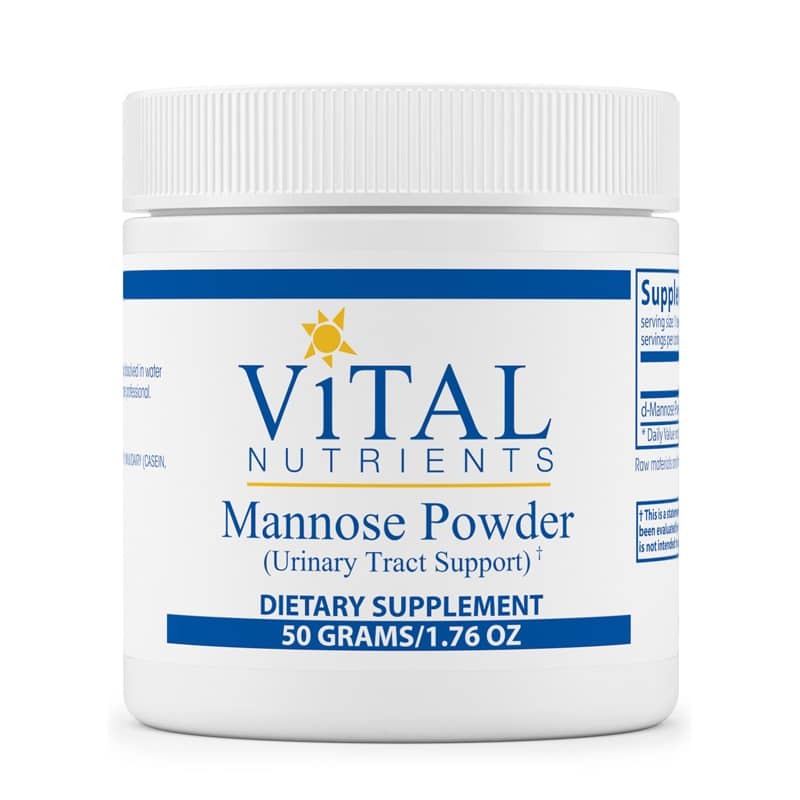 Mannose Powder (Urinary Tract Support) by Vital Nutrients is a natural supplement for urinary tract support. Mannose powder is a sugar found in many foods such as cranberries. It is a powerful maintainer of a healthy mucosal lining in the urinary tract. D-mannose is found naturally on the epithelial cell membrane wall in the genitourinary tract and when taken orally, binds to flora, supporting urinary tract health. Independently tested for authenticity, potency, confirmation of "D" isomer (by Optical Rotation), solvent residue, stability and bacteria, yeast and mold counts. Contains NO: coatings, binders, gluten (wheat, rye barley), milk/dairy (casein, whey), soy protein, egg protein, sugar. Adults: Take one-quarter, one-half, or one teaspoon 1 to 3 times a day dissolved in water in between or with meals, or as directed by a healthcare practitioner.